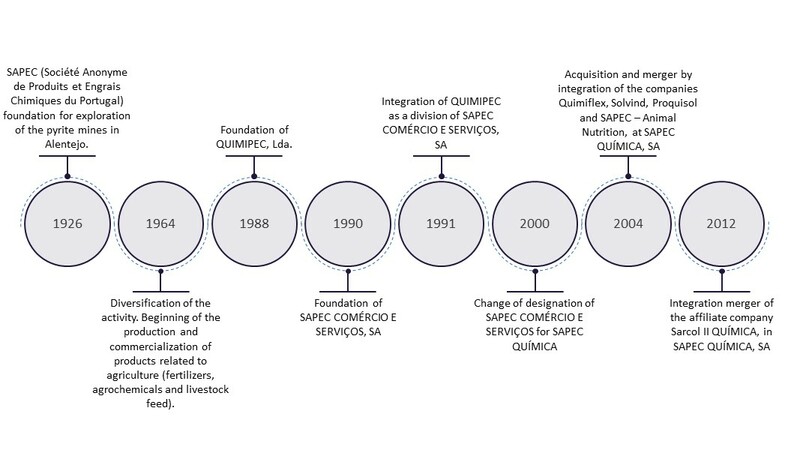 SAPEC QUÍMICA, which integrates SAPEC GROUP, has almost 20 years of history and experience in the industrial chemical sector of high prestige and dedication, allied with the continuous improvement of working methods that have made it possible to gain suitability and solidity recognized in the markets that is operating in. At SAPEC QUÍMICA we work daily to monitor the evolution of the markets and respond to the constant changes in the needs of our customers. - The Quality System Management Certification in compliance with NP EN ISO 9001:2015. - The Environmental Management Certification System, according to NP EN ISO 14001:2015.